Woodland Plantation, Louisiana | Tailwaters Fly Fishing Co.
Woodland Plantation is located near West Pointe A La Hache, on the banks of the Mississippi River, about an hour drive south of the New Orleans airport. Anglers travel commercially to New Orleans and drive to the Plantation in a rental car or with a private driver. In addition to redfish (up to 30+ pounds), other species commonly encountered on the flats include black drum, speckled trout, and sheepshead. Nearshore fishing in larger bay boats offers shots at jack crevalle, cobia, amberjack, dorado, sharks, tarpon, and more. Both fly fishing captains and conventional spinning gear guides in larger bay boats are available. 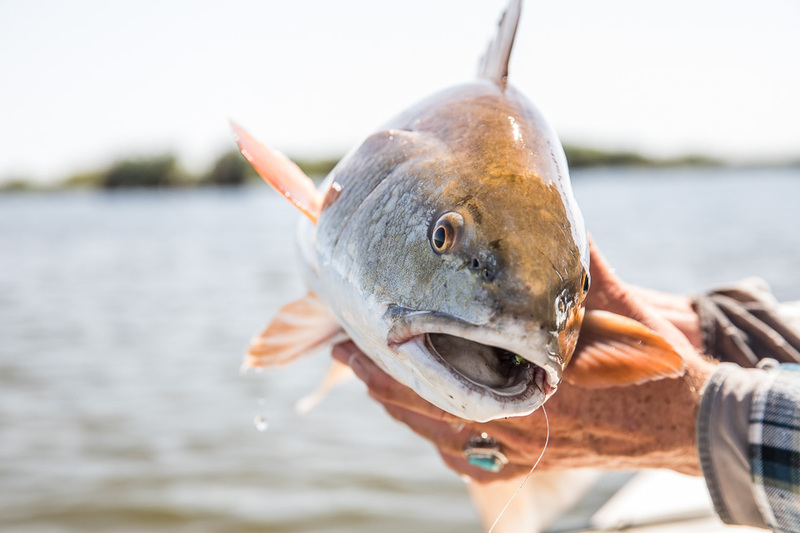 While the most popular months are November – February for anglers targeting the biggest “bull reds,” redfish over 30 pounds can be caught during all months with the right conditions. Late spring, summer, and early fall months offer the most consistent and comfortable fishing conditions and longer days on the water. Is Woodland Plantation Right For You? 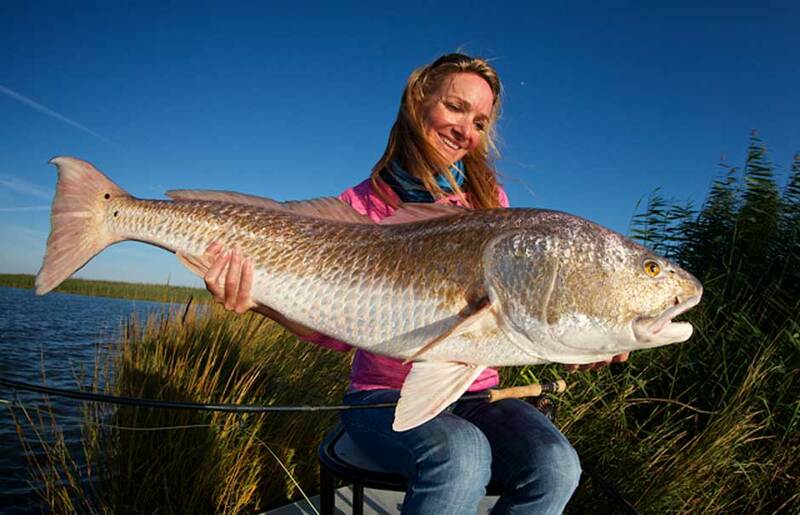 The Plantation is home to the best redfish fishing in the world for size and numbers of fish. It is the perfect venue for all group types ranging from a small group of hard-core anglers, a couples’ weekend, a corporate retreat, a bachelor party, or even a wedding. We will cherry pick the right rooms or a private house on the property to match with your group’s needs. Pricing is based on a shared room/boat. Longer and shorter stays, as well as a private room/boat, are available. INCLUDES: guided fishing, meals, all equipment & tackle. EXCLUDES: airfare to New Orleans, gratuities, bar tab, ground transportation, fishing license. See RATES for more details. The marshes and mud flats of southern Louisiana are home to the best redfish fishing in the world. This affordable, year round fishery is only 45 minutes south of New Orleans. 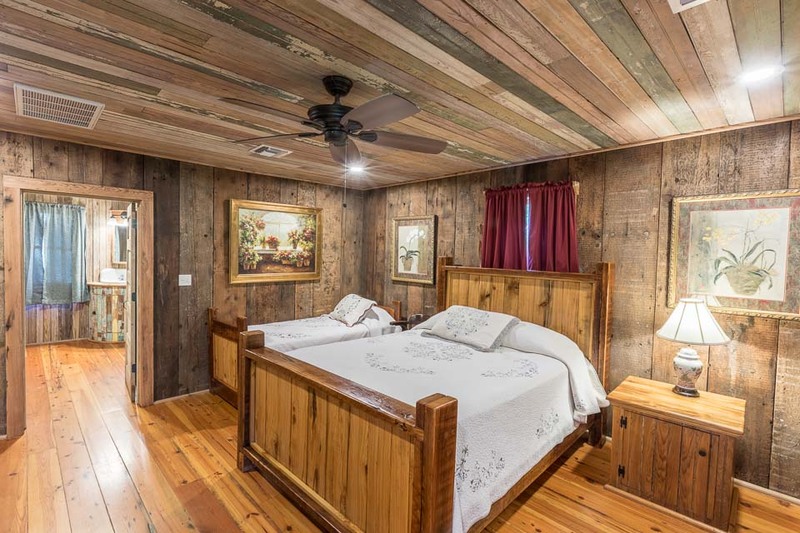 Combine the convenience and fantastic fishing with the charm, comfort, and hospitality at the Woodland Plantation bed and breakfast – and you have the most popular destination in our travel catalog. The Woodland Plantation, a 180-year-old restored sugar plantation on the west bank of the Mississippi, can accommodate any group type with spacious private rooms, multiple condos and houses across its fifty acres of bottomland hardwoods, wetlands, and gorgeous landscaping. 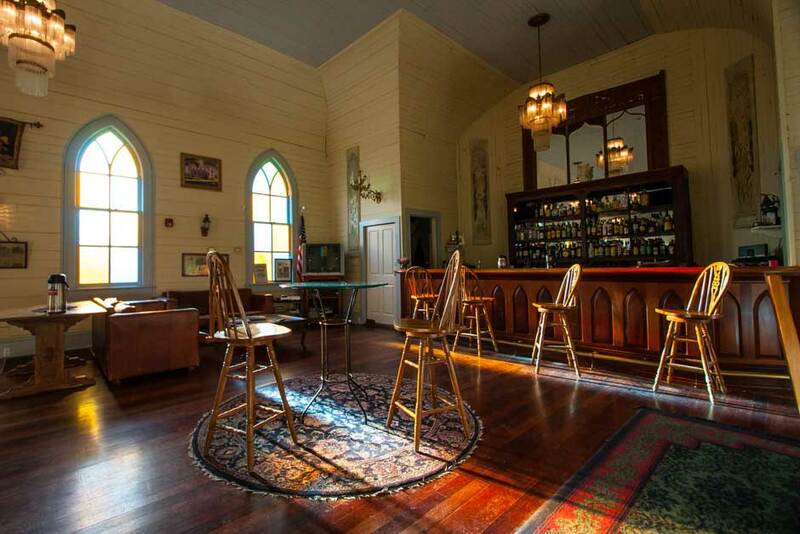 Spirits Hall, a converted Baptist church, serves as Woodland’s restaurant and lively bar. The late autumn and winter months must be booked a year in advance, but far too many anglers ignore the late spring, summer, and early fall fishing, which can be every bit as spectacular. The marsh is also crawling with black drum, speckled trout, sheepshead, and frequent encounters with jack crevalle. Our summer inshore/offshore combo trips provide opportunities for bull reds, cobia, jacks, snapper, dorado, sharks, mackerel, tarpon and more. Plaquemines Parish has become a second home to everyone at Tailwaters Travel. It is a part of the world loaded with great friends, rich history and a beautiful fishery. We send over 300 anglers a year down to the marsh and know the angling opportunities there better than anyone in the business. 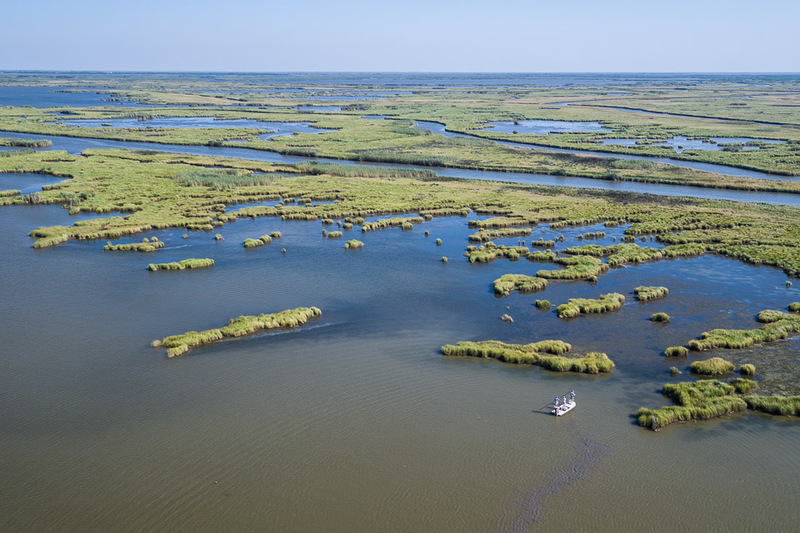 The marshes south of New Orleans should be recognized as one of the world’s most prolific year-round saltwater fisheries. We are very excited to promote this region as a premier, yet totally affordable and convenient fly fishing destination. 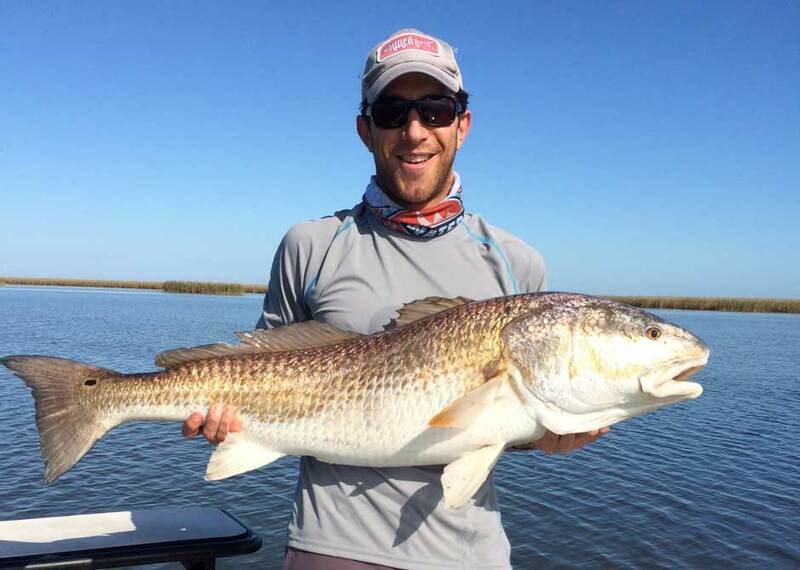 We hate bad mouthing the redfish fishing in the Lone Star State, however the fact is the marshes south of New Orleans are the most impressive inshore fishery we have seen in the Gulf of Mexico, by far. The Louisiana marsh is home to the biggest, most plentiful, and least educated redfish imaginable . . . less than one hour from the New Orleans airport. After dozens of trips down to the marsh over the years, we have established relationships with the best and most recognized fly fishing guides on the west bank of the Mississippi River. All our captains are highly skilled fly fishing guides with proper skinny water flats skiffs. They collectively have been fishing the marsh for decades and spend an average of 200+ days a year on the water. All fishing in the marsh is true sight casting to redfish in shallow water. Casting must be accurate, but nearly all presentations are within 10-40 feet, making this one of the most user friendly destinations for anglers of all skill levels. 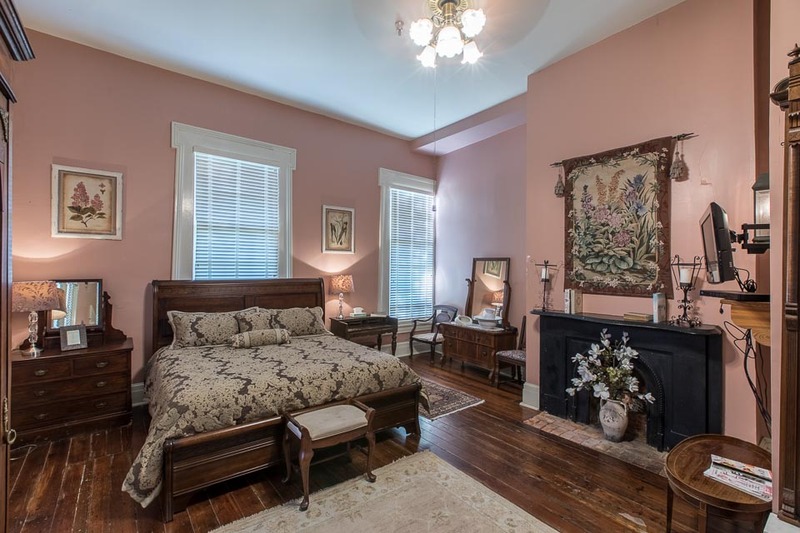 Anglers stay in single or double occupancy accommodations at the antebellum mansion / converted B & B, the Woodland Plantation. The Woodland, and owner Foster Crepple, offer up the epitome of Southern hospitality, comfortable accommodations, incredible food, a well stocked bar and a lively atmosphere. It is almost too good to be true; the travel involved is simple, it is totally affordable with classy accommodations, and the redfish fishing is the best there is anywhere. PERIOD. Plaquemines Parish Louisiana has become a second home in a way to everyone at Tailwaters Fly Fishing Company. It is a part of the world loaded with great friends, rich history and a beautiful fishery. We send over 300 anglers a year down to the marsh and know the angling opportunities there better than anyone in the business. 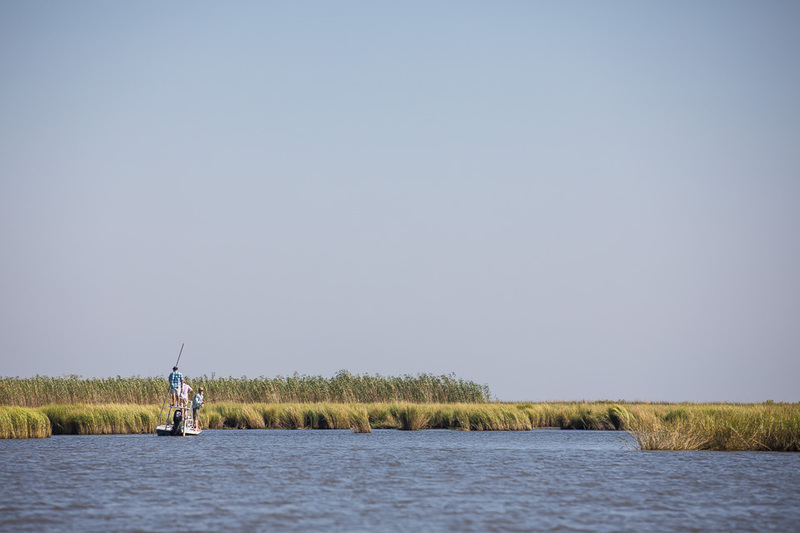 The Louisiana coastal marsh is a fantastic sight fishing venue. You simply have to experience it to believe it, but the numbers and size of the reds found in the marsh beats anywhere we have seen or even heard of. In our experience, there are few saltwater destinations located in the continental United States that have held up so well despite all that human development and Mother Nature’s storms have done to destroy it. It is simply stunning how rich, vibrant and full of life the marshes are south of “The Big Easy.” Around every corner, in every bay, creek, or backcountry pond there are large, plentiful and eager redfish. 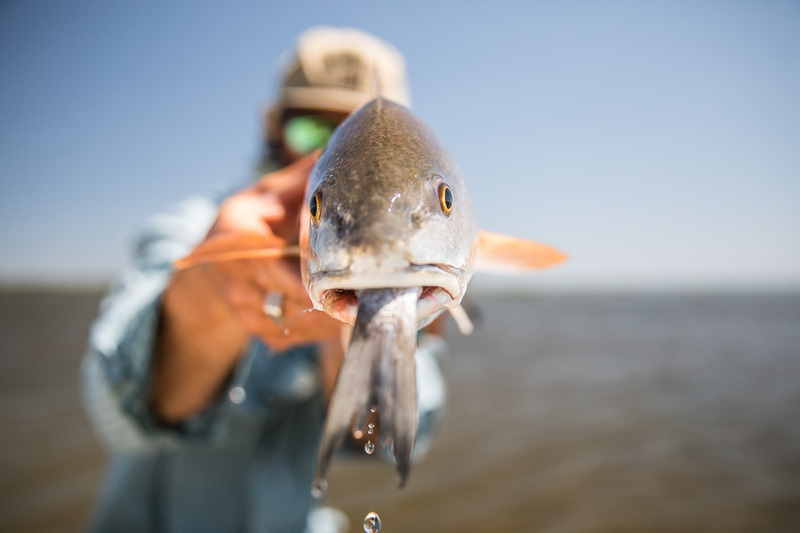 From the popular winter fishing for the bull reds (often exceeding 30 pounds) to the reliable spring and summer fishing for tremendous numbers of 5-15 pounders, the Louisiana Gulf coast is a saltwater fly angler’s paradise. The marsh is a huge labyrinth of small islands, channels, ponds, bayous, bays, and flats that seems to go on endlessly to the Gulf of Mexico. Another amazing facet to the fishery is the fact that nobody else fishes it! The area is accessed by our guides’ top of the line skiffs (Hell’s Bay, Burton, East Cape, Maverick, Ranger). Nearly all of these areas can only be reached with a proper flats boat, so you almost never see other anglers while you are out; guaranteeing consistent shots for uneducated reds when conditions are favorable. All fishing is done from the boat as the muddy flats are too soft to wade. 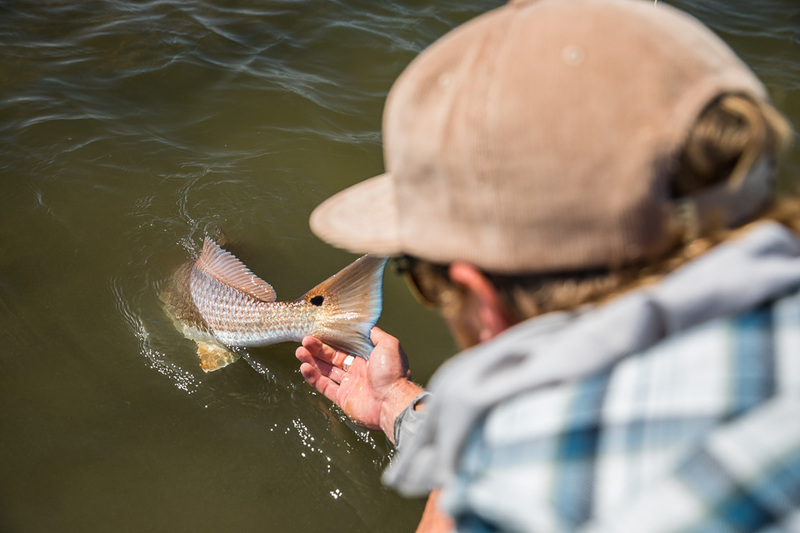 However, all anglers are amazed at the sight of redfish cruising in as little as 5-6 inches of water. 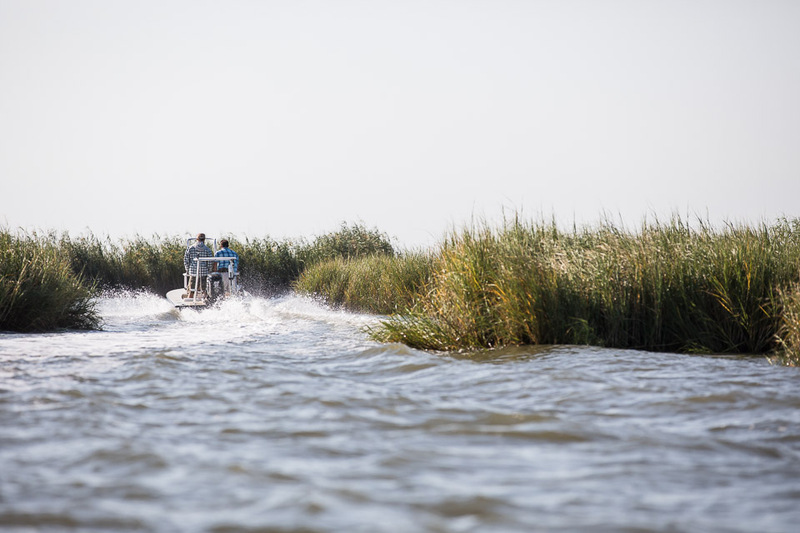 The water in the marsh is a bit off-color when compared to other fisheries such as the Laguna Madre in Texas, but all of your fishing is done sight casting to individuals, small pods and often tremendously large schools of fish. Casts are typically in the 10-30 foot range, making it a fishery that anglers of any skill level can have great success. Just pick up the line, one false cast, and bang’em on the head and they will eat it! The gear required for fishing the marsh is not sophisticated. Anglers want an 8 weight rod for the spring and summer fishing and a 9-10 weight for the winter fishing. Our fly fishing captains provide all flies and terminal tackle required for no extra charge. In many cases we can also arrange for you to borrow fly rods and reels as well as spinning gear outfits. Pretty much just show up with a fishing license, appropriate clothing and polarized sunglasses and you are ready to go fishing. If you or anyone in your party are not fly anglers, you can certainly enjoy phenomenal fishing with your traditional casting or spinning rods. We also can organize trips with the best conventional gear / spin fishing guides in the gulf. Everyone is seduced by the idea of giant bull reds in the wintertime. Don’t overlook the spring and summer fishing! The marsh is loaded with zillions of happy medium sized reds often tailing in super shallow water. The spring and summertime weather is normally much more predictable as well. Our captains also frequently find huge schools of hundreds of large bull reds gathered together chasing bait on the beaches. This fishing can often be more exciting and consistent than the wintertime bull red fishing. Although the fly fishing guides mainly target redfish, the marsh is also loaded with speckled trout, sheepshead and enormous black drum. In the spring & summer months it is also very common to run into large schools of cooperative jack crevalle (up to 30 pounds) as well. Some of our guides are currently exploring the opportunity to consistently combine trophy redfish fishing with other species such as cobia, tarpon, jacks and red snapper. The Gulf of Mexico at the mouth of the Mississippi is rich with these other species, although calm conditions must be present to enjoy success for both schooling bull reds and these other species. Inquire for details if you are interested in exploring something totally unique. Want to combine a few days of redfish with some offshore fishing for yellow fin tuna, wahoo, blue marlin, mahi-mahi, blackfin tuna, grouper, and much more? Although there are no offshore captains well versed in fly fishing for these other species, they are learning. One of our fly fishing guides can accompany you on an offshore charter to lend a hand in targeting these species on conventional gear and on the fly. The Woodland Plantation – a historic, antebellum mansion converted into a lively bed and breakfast – is THE best place to stay when fishing the Louisiana marsh. Originally established as a working plantation in the 1834, the Woodland is now a family owned and operated hotel with over twenty bedrooms, each with private baths. In addition to the “Big House,” the Plantation also has five other buildings on the property for smaller groups to enjoy a private house or condo-style accommodations. The Woodland is located right along the west bank the Mississippi River forty-five minutes from New Orleans and ten minutes from the primary boat launch. It is everything you would expect in a 180 year-old southern mansion including quiet bedrooms, rocking chairs on the porch, and a swamp with alligators out back. Note a rendering of the Woodland Plantation “Big House” is actually represented on the label of the Southern Comfort whiskey bottle. Perhaps the most interesting part of the Woodland Plantation is their “Spirits Hall” dining room and bar. Once a Catholic church located downriver, Foster moved, refurbished, and converted it into the charming social gather spot for guests. Ironically, the modified pulpit is now a well stocked bar. The ball game is always on the television, and someone is always available to share a drink or memories from your fishing day on the marsh. Foster and his staff kick out incredible food you would expect from a proper fishing lodge. 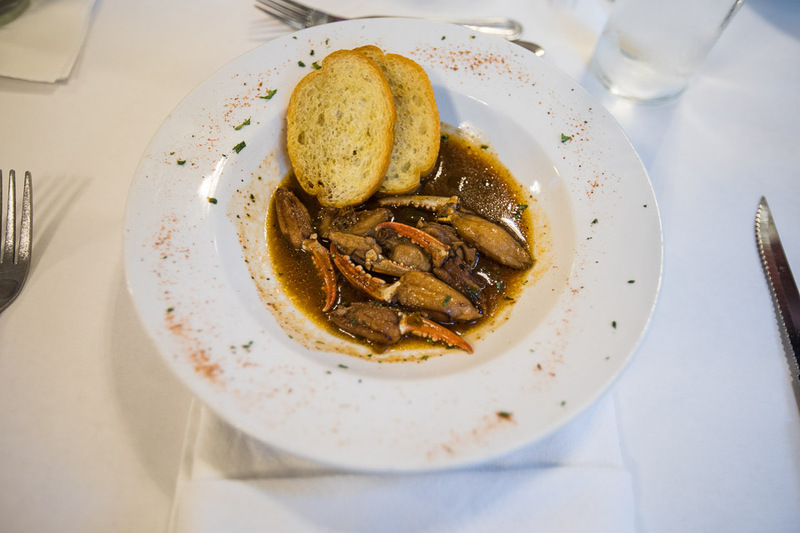 Oysters on the half shell, fried shrimp, gumbo, blackened redfish or “puppy drum,” beef, pulled pork and every other Cajun masterpiece imaginable. Homemade desserts range from pecan pie to bread pudding or ice cream. Boat lunches are usually sandwiches or creatively presented leftovers, however make sure to request Foster’s muffaletta sandwiches. The Woodland Plantation has over twenty bedrooms and can accommodate groups as large as forty-five guests. Our team of guides typically run 5 to 6 skiffs with 10 to 12 fly anglers, but depending on availability (and if booked far enough in advance), can handle up to twenty fly anglers at a time. Our conventional guides can handle more fishermen than the Plantation can accommodate. The easiest way to reach the Woodland Plantation is to fly commercially to New Orleans (MSY) and simply rent a car for the 45 minute drive down to the Plantation. The drive is actually very easy and rental cars are affordable. We provide detailed driving directions and maps upon booking. Car rental weekend rates are usually around $35-$50 per day for a mid-sized sedan. Enterprise offers by far the best rates at the New Orleans airport. Some anglers may prefer having a driver provide ground transportation to/from the Woodland and the airport. We have a fantastic chauffeur service that operates several vehicle types ranging from a standard sedan to a 40 passenger bus. Please inquire for rates and details. Travel commercially to New Orleans and drive forty-five minutes south to the Woodland Plantation (rental car or private driver). Arrive before 7:30 for dinner. Several full days of fishing. Breakfast is served at the Plantation, with guides and anglers departing at first light, taking lunch on the water, and returning late afternoon. Relax with a cocktail followed by dinner and socializing at the historic Plantation. Most anglers fish a full day on departure day. They then clean up at the Plantation and head back to New Orleans to EITHER catch an evening flight home OR spend one or more nights enjoying the Big Easy. If you plan to fish a full day on departure day and then fly home, your flight should depart no earlier than 7:30 p.m. Earlier flights can easily be accommodated, however the fishing day will be cut short by several hours. 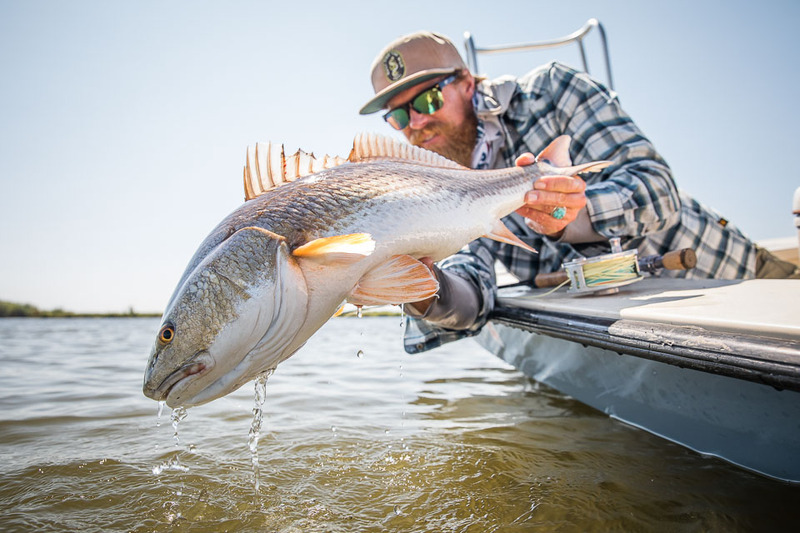 The late fall and winter months (November – March) are known as the bull redfish season, when the most 20-30+ pound fish are around in the shallow marsh. This is also the most popular time to visit, and our guides are normally completely booked months or even a year in advance, especially on the weekends. While winter tends to book up with anglers searching for giant bull reds, don’t overlook the late spring, summer, and early fall fishing! This is actually our favorite time to visit Woodland Plantation, as the marsh is loaded with zillions of happy, medium sized reds often tailing in super shallow water. In our book, a 12 pounder on an eight weight is every bit as good as a 25 pounder on a ten weight – and a dozen 12 pounders is even better! The late spring, summer, and fall weather is normally much more predictable as well, without the cold fronts. Our captains also frequently find huge schools of large bull reds gathered together crashing bait on the edge of the gulf and marsh. This fishing can be more exciting and consistent than the wintertime bull red fishing. The Woodland Plantation is a perfect venue for any type of group. From individual clients to larger corporate outings or even weddings, Foster and his staff can handle it all. Shorter and longer trips are also available of course. Please inquire for rates and details. Please also inquire for single angler rates. The above rates are only applicable for bookings with two anglers per boat. Accommodations, all meals, non-alcoholic beverages, professionally guided fishing, all flies, terminal tackle, and loaner equipment. A 50% deposit is due at the time of booking. Final payments are due 60 days from departure. Cancellations must be received 60 days in advance to receive a refund minus a $150 cancellation fee per rod. Cancellations received within 60 days from departure are non-refundable unless a replacement angler is found. Trips can be rescheduled in the event of bad weather, however the final decision about a “rain check” is purely up to the discretion of your guide. 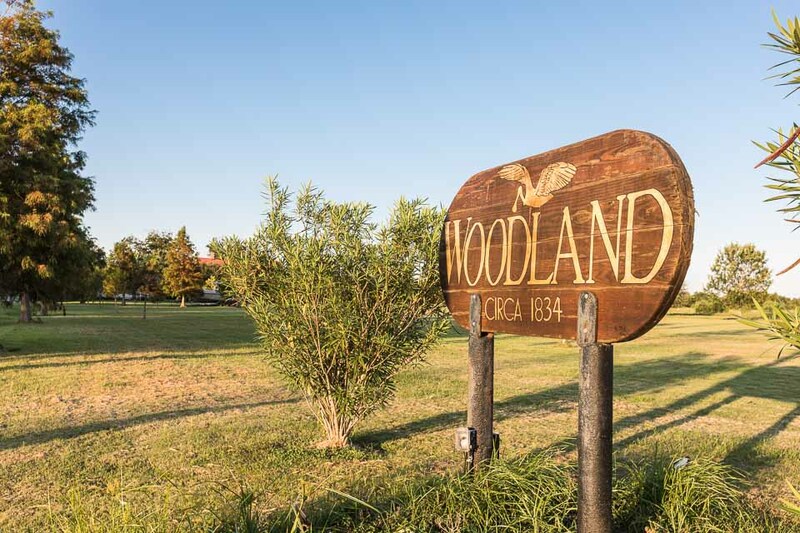 There are no refunds or credits given for used space or services at the Woodland Plantation. Refunds of deposits/payments made on credit cards will be charged a 3.5% service charge to fully compensate Tailwaters Travel for all bank charges incurred. Receipt of deposit and/or final payment is acknowledgment that registrant has read and accepts the cancellation, refund and responsibility clauses.